Blondie and Brownie: What's a Horse Race without Boozy Pie? I'm a lover of the ponies even if it isn't politically correct to be so. I can't help it: my family's been going to Belmont for years, and I've been watching the Triple Crown since I was knee high to a grasshopper. 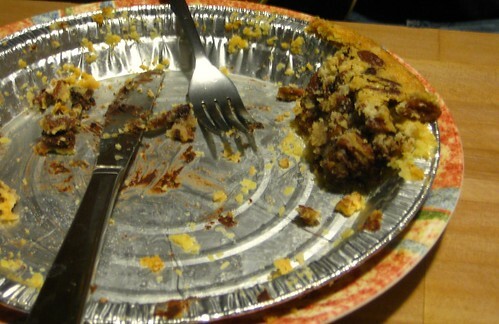 Oh, but my family wasn't in on one thing, the Derby Pie. New "Derby Needs" List: Bourbon, Crazy Hat, Mint Juleps, Boozy Pie. I had planned on trying my hand at a Bananas Foster Bread for the Kentucky Derby, but I've been in a pie mood. To the internets I went, looking for a minty or bourbon needing pie. 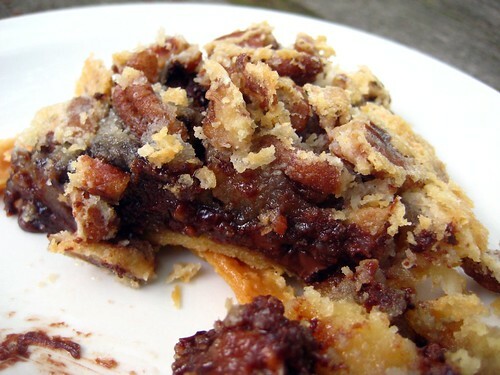 I didn't have to look far until I found these recipes straight from Kentucky for Derby Pie. Chocolate, pecans, and bourbon: really all I've ever needed in life (I recently got into the habit of having a handful of frozen pecans as a snack.) 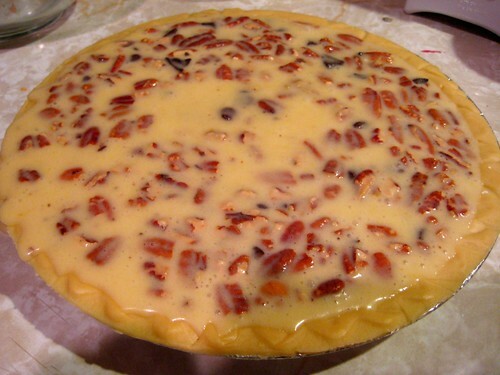 Never having made a pecan pie before, I wasn't aware that 1) the crust shouldn't be pre-baked and 2) you should wait a few minutes for the pecan pieces to rise prior to placing in the oven. Oopsies. Pie was delicious anyway, and boozy. I went with the first recipe thinking 4 tablespoons of Tuthilltown's Bourbon wouldn't be strong enough at all. It was, oh it was. Enough to put you right over the line from buzzy to drunky. Chocolate boozy nut goodness never felt so right. I think one's in order for this weekend's Preakness.